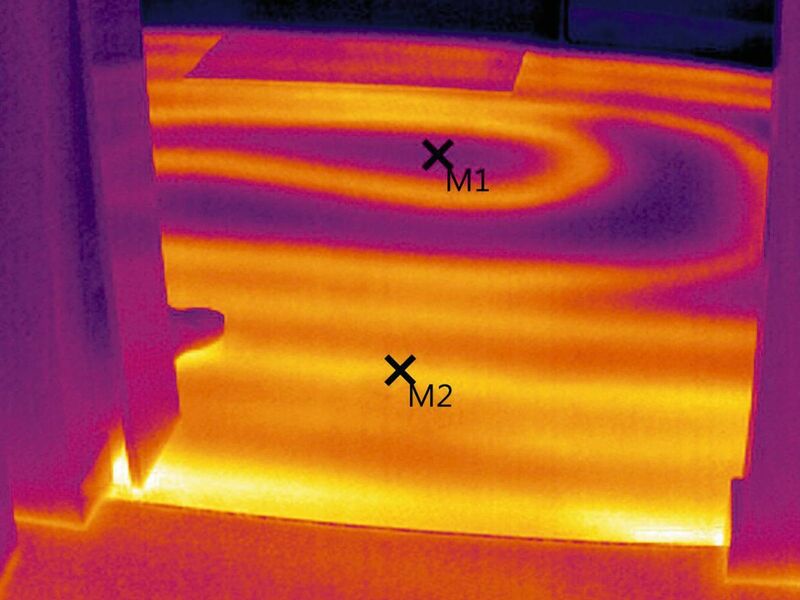 Locate leaks really easily with a thermal imager. 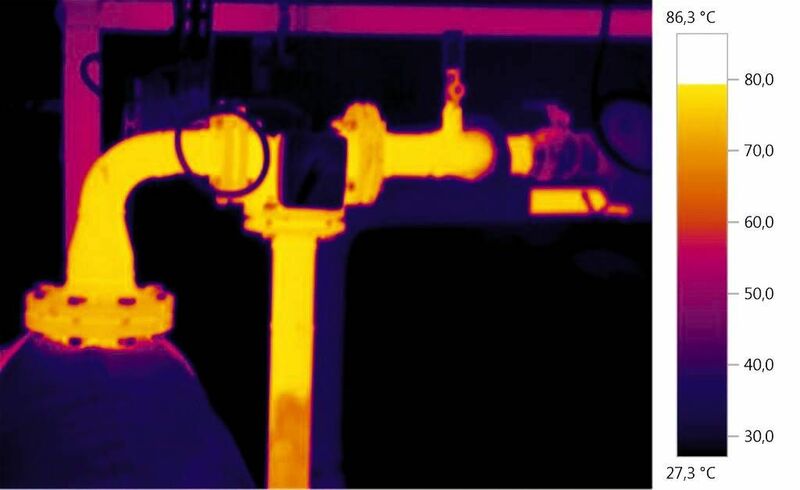 Non-contact building thermography makes it easy to inspect and reliably monitor heating pipes and quickly check their fittings. With a Testo thermal imager, you can localize leakage and moisture damage in the interior of buildings easily and reliably – without needing to open up wall or floor areas. The temperature drop caused by the evaporation of the water results in a temperature difference over the surroundings, which is recorded by the thermal imager. In addition to this, you can use thermography to locate unknown pipework which is not shown in plans, allowing problems in installations to be remedied quickly and in a targeted way. 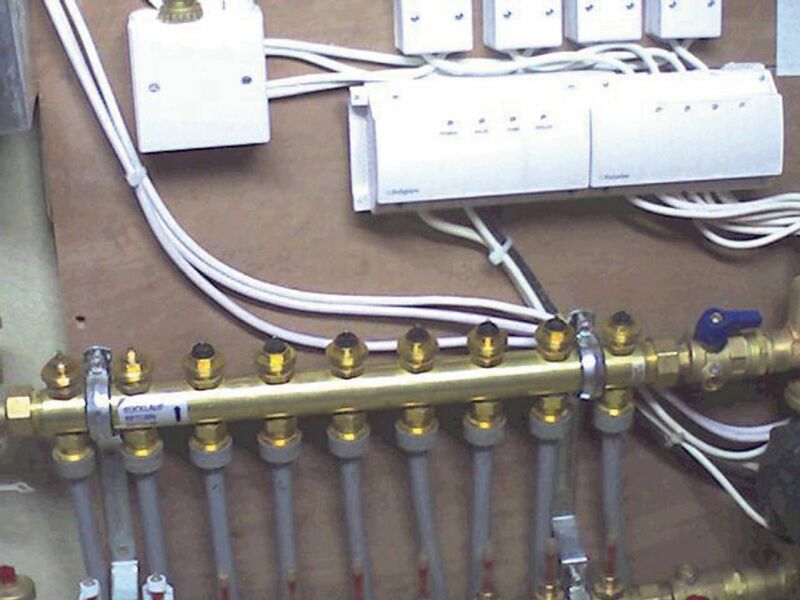 How can you ascertain whether an existing underfloor heating system is operating efficiently or verify that a new system has been installed correctly? 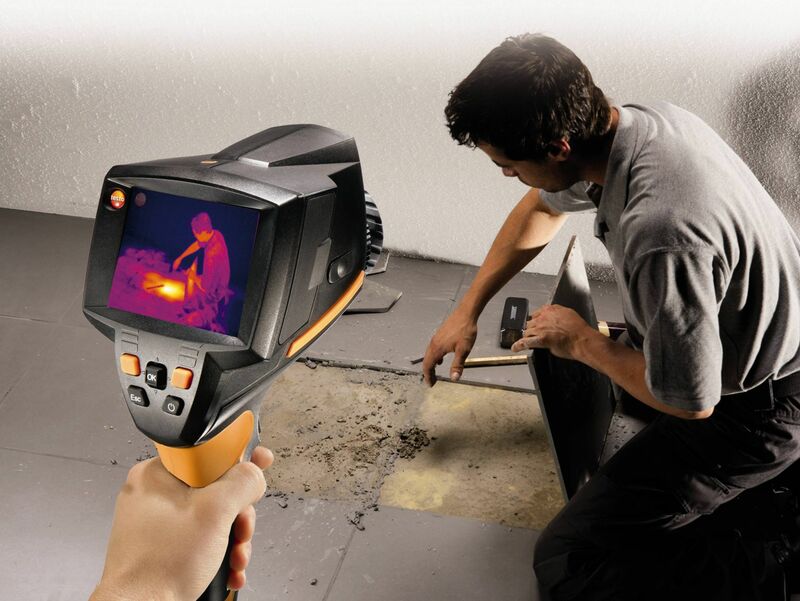 With a Testo thermal imager, you can inspect installations at any time with little effort. 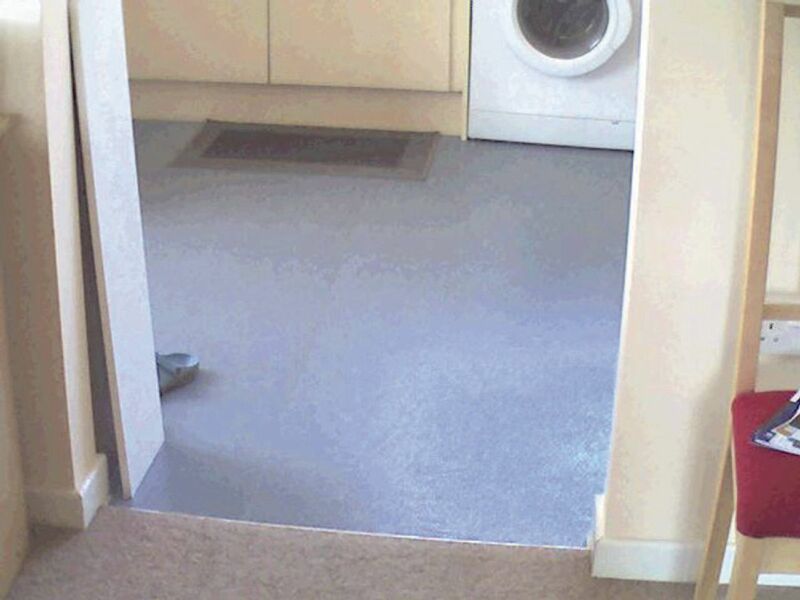 The thermographic inspection provides a clear visual presentation of the condition of the underfloor heating. 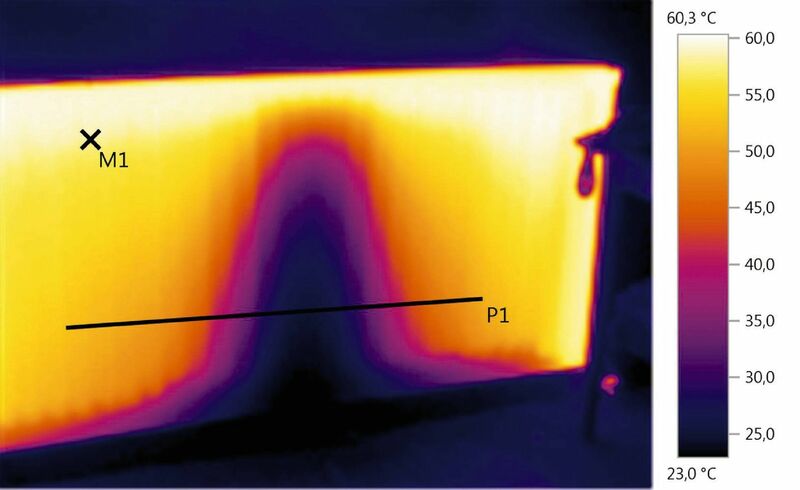 In the example illustrated, the pipes have not been correctly installed, so the floor is not being heated uniformly. On the basis of this measurement, you can optimize the installation with a targeted measure. If radiators do not heat up over their entire surface, the heating system needs to run for longer periods in order to reach the required room temperature. This results in higher energy costs. One reason for insufficient heating performance can be silted radiators. These can be very easily visualized with a Testo thermal imager. At the same time, you can check whether the heat is being distributed evenly. For an optimally adjusted heating system, the temperature difference between the water circuit flow and return must be checked and adjusted. This ensures an even distribution of the heat in the building. 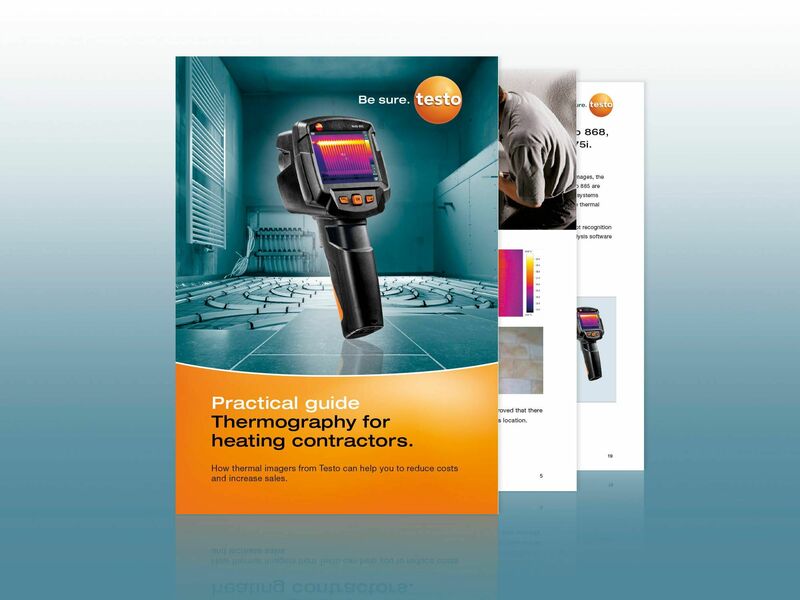 With a Testo thermal imager, you can quickly and easily check flow and return temperatures, and hydronically adjust the heating systems according to requirements. 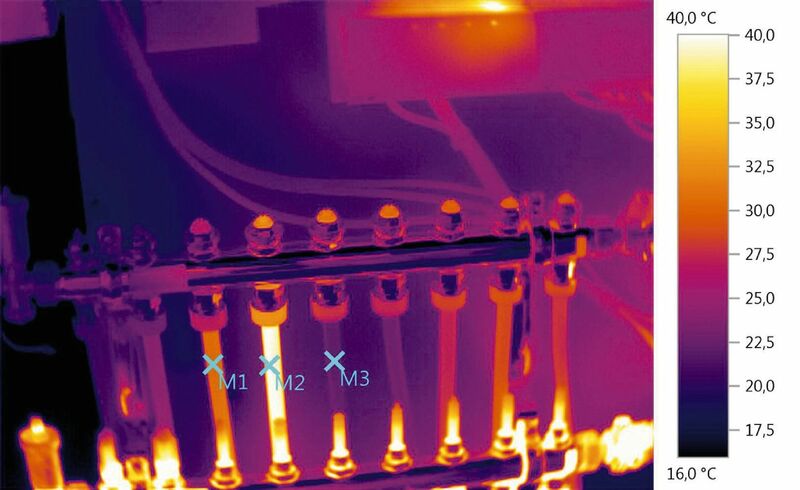 Using thermography, you can test not only the temperature of the electrical components/connections on AC systems, but also the temperature of the outflowing air. 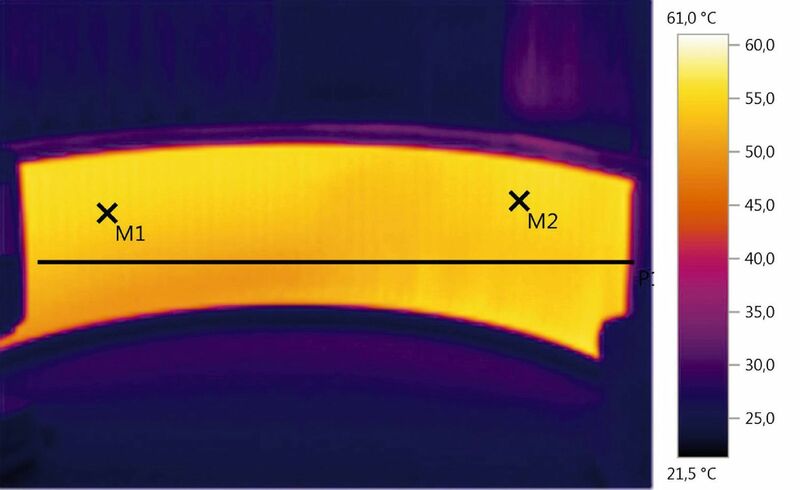 While the temperatures of the electrical components are measured directly, the air temperature cannot be correctly determined by a measurement on the metal outlet pipe. For this purpose a material with a higher emissivity is needed, e.g. paper. Held in front of the outlet, it assumes the temperature of the outflowing air after only a short time, so that the thermal imager delivers a precise measurement result. 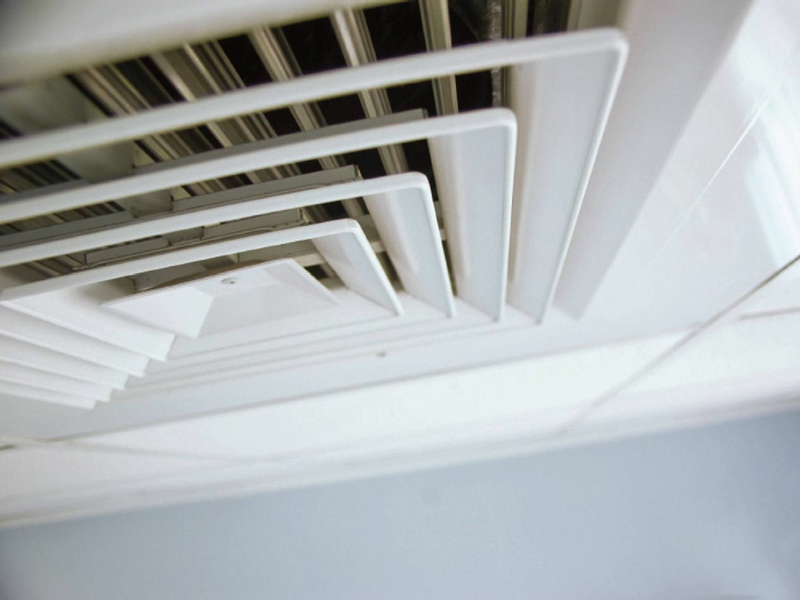 By measuring at several air vents you can check whether the cool air is evenly distributed in the building.